The Mistletoe Belles are there with their cheeky Mistletoe assistance, providing a perfect excuse for kisses. With their heart on their sleeve, as well as their skirt, The Mistletoe Belles bring fun and love to the occasion. Let the joy of Christmas begin! 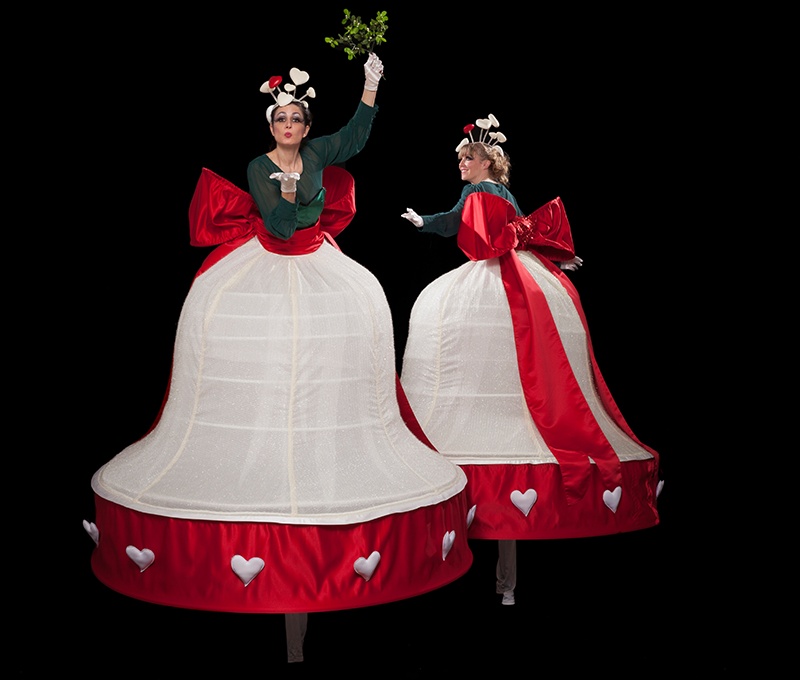 Mistletoe Belles is our latest Christmas costume. Christmas Celebrations, Victorian Christmas, Midwinter Festivals, Yuletide, St. Valentine's day, Red and White theme (with white tops), Christmas Lights Switch On and Parades. 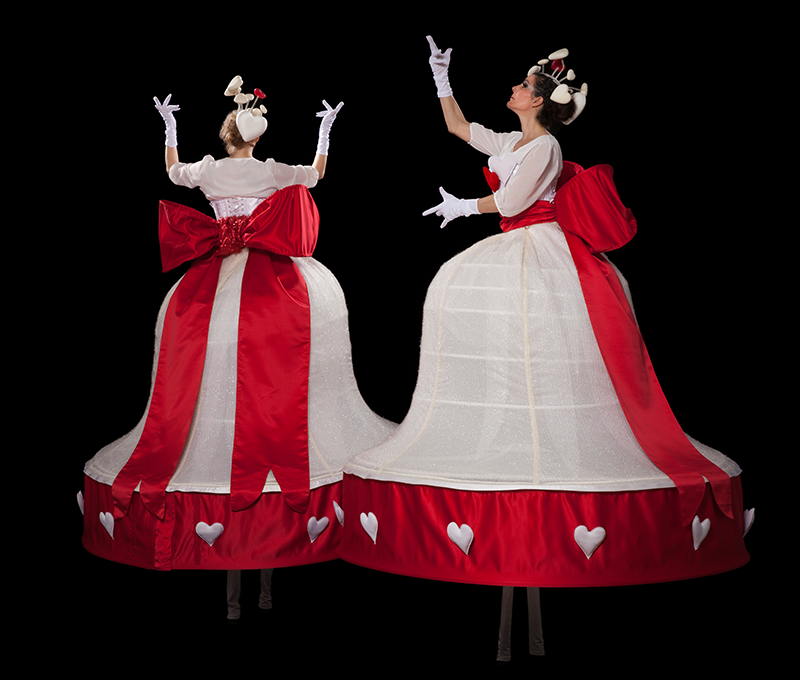 You can book 2 Mistletoes Belles for your event. You can choose a green top or white top, pending on the theme of your occasion. For more pictures from Mistletoes Belles performances and behind the scene information, search for #MistletoeBelleStilts both on our Facebook page and on our Instagram account.